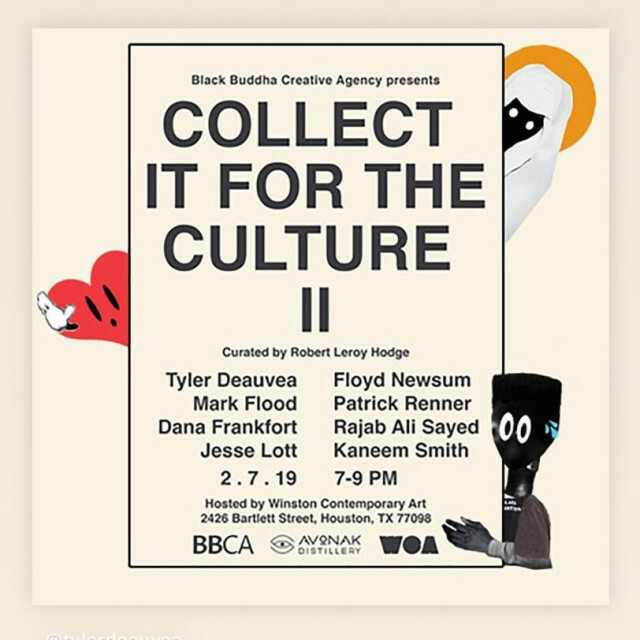 Houston, Tx - Black Buddha Creative Agency is pleased to present Collect It For The Culture II, curated by Robert Hodge, hosted by Winston Contemporary Art, & sponsored by Avonak Distillery. This is the second bi-annual exhibition featuring Texas-based artists, hand selected for their relevance to the art landscape. In 2019, this collaborative series continues to present a dynamic curation of works that give collectors at different stages opportunities to acquire beautiful, engaging art that will withstand the test of time. The mission of the series, is to highlight the role collectors have in the preservation and perpetuation of culture through their ongoing support of the arts. Throughout the viewing period, programming featuring artists, poets, and musicians will offer a complete immersion into the exhibition. The exhibition series title builds on the popular saying "for the culture," a phrase identifying actions and trends that promote the growth and spread of a vibrant cultural scene of photography, fine arts, activations, & music. This select group of artists have the ability to be the future greats, as innovators in their fields of practice in both theory & technique, they are the living, creating definition of "for the culture." From the anchors-Jesse Lott, Mark Flood, and Floyd Newsum-who have careers that span over 40 years to the fresh faces of Rajab Ali Sayed and Tyler Deauvea; the show is bound together by mid career artists Kaneem Smith, Dana Frankfort, and Patrick Renner. This particular group of artists compliment each other in obvious ways, while other connections are more subtle and lean towards the conceptional. Collect It For The Culture II exemplifies the examples of magnificent artists creating great works at all career stages that will both excite viewers and invite them to join a new wave of collectors. Curator Robert Hodge wants the audience to directly associate "Collect It For The Culture" with the understanding that these are the artists who should be on your permanent radar and in your personal collection. These artists ring out locally and globally, and as a city, we are grateful that they call Houston home. Black Buddha Creative Agency, founded & operated by India Lovejoy, fosters creative exchange through engagement, education, and investment in the arts. Black Buddha acts as a bridge between creatives, collectors, and entrepreneurs by producing exhibitions, organizing events, and offering fine art(ist) services throughout Houston. BBCA utilizes various spaces to establish connections and is best known for launching the alternative venue The Union HTX in the Washington Cultural Arts District in 2018. Robert Hodge is an interdisciplinary artist whose practice explores themes of memory and commemoration. As a Curator, Hodge follows artists throughout the years, noting overall production and work ethic. He strives to make connections between artists that supersede all demographic and generational gaps, using his eye as a conductor uses his ear, to present a complete symphony of pieces. Winston Contemporary Art, WCA, is the spring host for Collect It For The Culture II. WCA is comprised of collaborators and facilitators that bring compelling art to Houston in new and innovative ways. 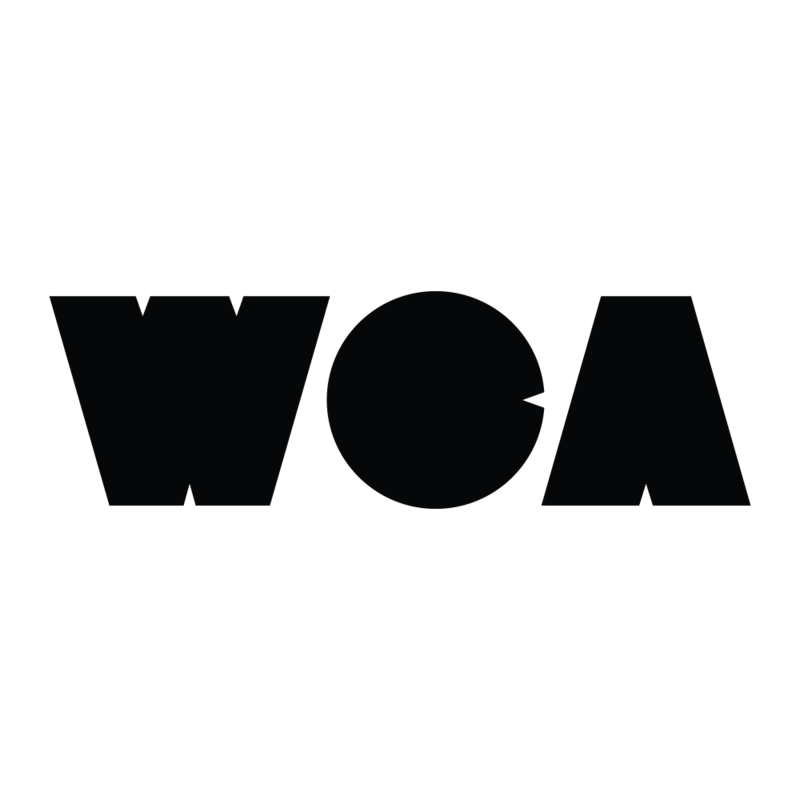 WCA works with various like-minded artistic, non-profit and private partners across Houston, the state of Texas, and beyond to bring meaningful art experiences to the community in a way that is accessible, and that encourages participation. Avonak Distillery, a certified organic, grain-to-glass distillery located in Houston, TX is proud to sponsor Collect It For The Culture II with complimentary craft cocktails made with our Avonak Vodka, Fifty 9 Gin, & our brand new Blended Bourbon Whiskey.